A little while ago I ordered Road IDs for the whole family. After we lost Chewy at a ski hill for a bit this past winter (she claims she wasn't lost), I plopped down the money to order Road ID bracelets for all of us. 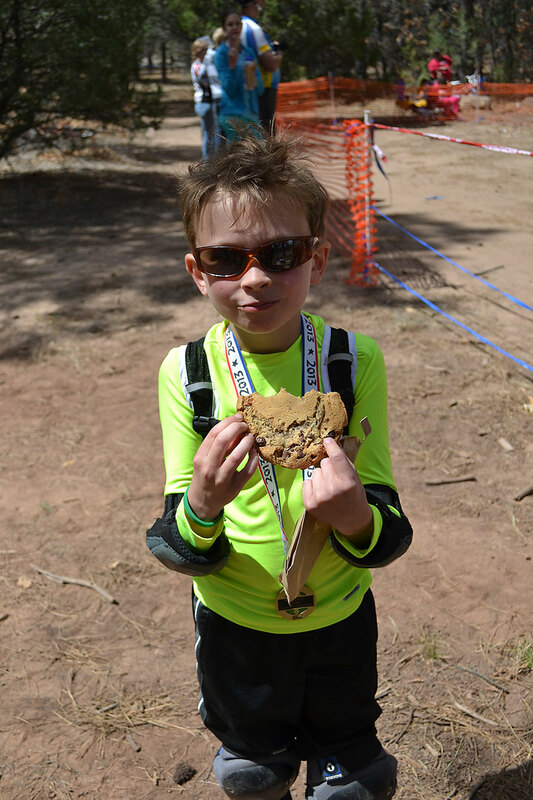 Especially since my kiddos are getting big enough to race their mountain bikes and I'm not anywhere near them when they race. I remember when I took a bad crash and blacked out, I didn't have a bracelet then. Hopefully that doesn't happen to my kids, but I really like the idea of emergency contact numbers and medical info on their wrists when they aren't with anyone. I think these bracelets are more for my piece of mind. I try not to worry and these help me with that goal. Biker Boy wears his when he gets up at 5:30am to bike the 25 miles to work. And then he bikes home after work. He does that once or twice a week. I like that he wears his bracelet (when he remembers). 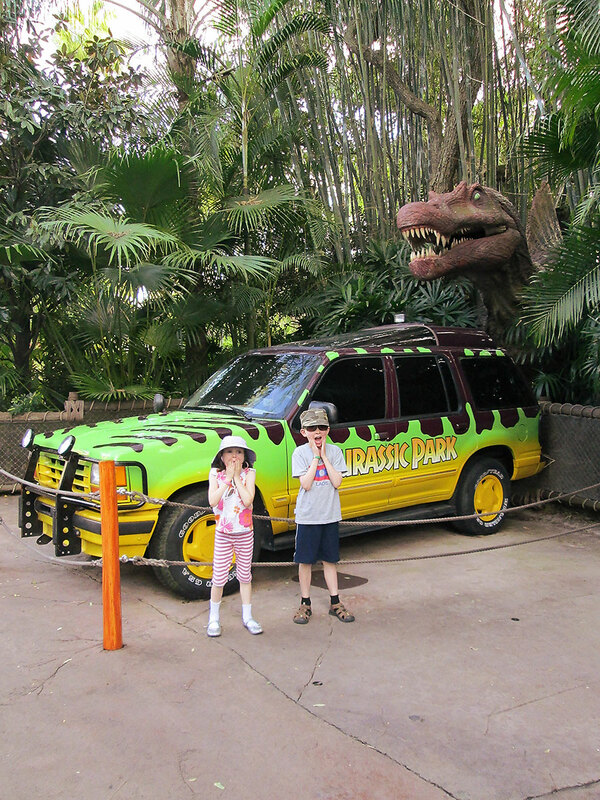 The kids wore theirs (and I wore mine) when we got to visit Universal Studios in April. I wear my bracelet when I go out for runs. Or a bike ride. Biker Boy says I should wear it swimming too since no one there knows who I am. Perhaps I should, it fits well enough that I could wear it in the pool without it driving me crazy. Or I could put it around my water bottle. 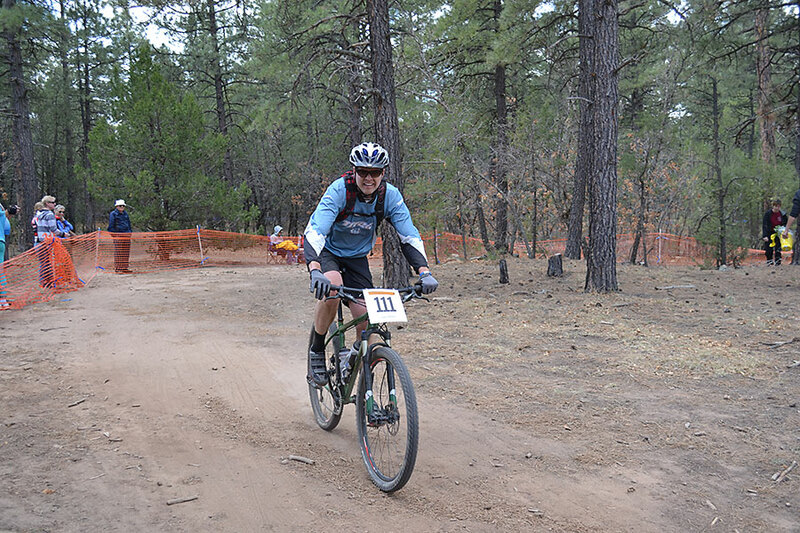 We all wore our bracelets at the mountain bike race that the kids and Biker Boy did recently. It was comforting to me since the boys were off on their own biking. Scooter has asthma and his bracelet says that. He carries an inhaler with him and his asthma is pretty well-controlled, but this mama likes to cover her bases. We all wore our bracelets on the crest climb recently. 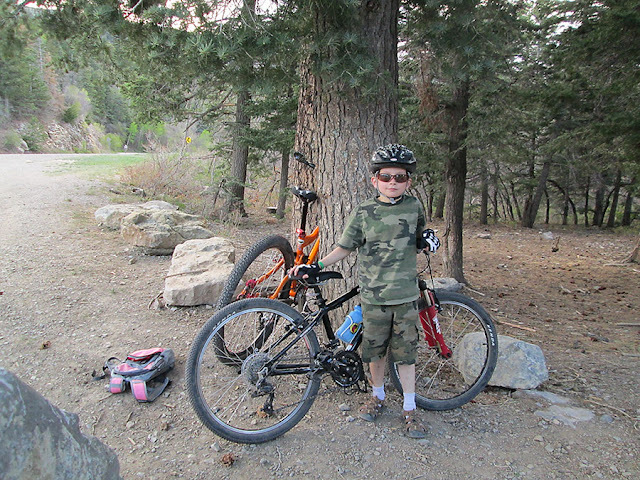 Here's Scooter sporting his when the little biker rode 7 miles up the mountain (2000 ft. elevation gain!) and did it all on his own bike! 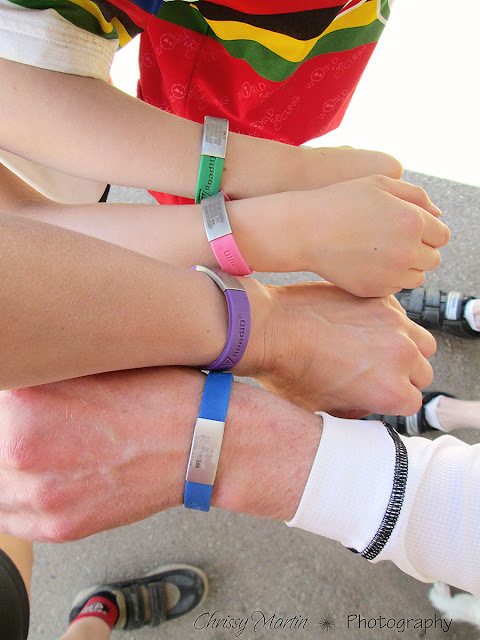 We all wear our bracelets even when we're biking on our train of a bike with the tandem and tandem trail-a-bike. That's when I snapped this photo of our bracelets. 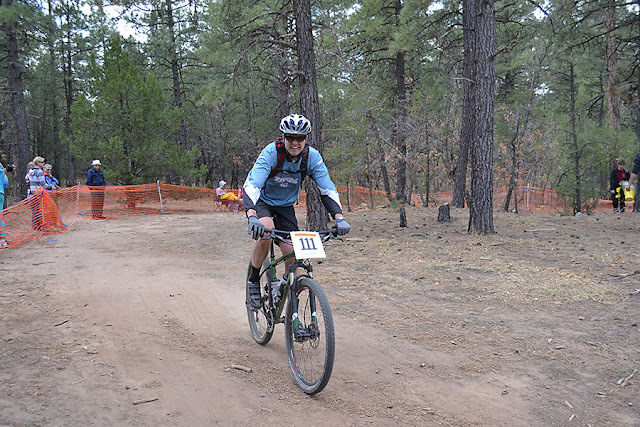 Biker Boy sports a medium in blue. The kids picked out his color. I'm sporting a small in purple. And again, the kids picked out my color. Chewy and Scooter are both wearing extra-small sizes. Chewy chose pink and Scooter chose green. We also ordered an extra band each for the kids in size small for when they grow. You can just order an extra silicone bracelet part and then move the silver ID to it. Chewy got a small pink and Scooter got a small orange. The sizes we ordered all fit fairly snug to our wrists with a little wiggle room. We do have to stretch the bracelets a little to get the them on, but once on they stay in place pretty well and we don't even notice that we have them on. Scooter always manages to get his silver ID coming off of the silicone a wee bit as he takes his bracelet off, but I just push the ID back on the bracelet. He's not real careful taking it off! We all ordered the Wrist ID Slim. It's about $17.99 for the silicone bracelet and personalized laser engraved ID. The extra silicone bands are $1.99. You could get one in each color and just move your ID plate to it! We only ordered extra bands for the kids, one size up for when they grow. The bracelets all came in nice metal containers with lids. We each keep our bracelet in the container. Biker Boy keeps his on his dresser. The kids and I keep ours in our baskets in the laundry room. Our baskets contain hats, sunglasses, and other outdoor gear, so the bracelets are in good company with all of that. We're all really happy with our Road ID bracelets. I have to say they are definitely worth the money we spent on them. Hopefully, we never need to use them for the purpose intended, but I like the peace of mind they give me as my family is off being adventurous. Do you own a Road ID? I know some of you do!